This is Guitar TV World’s series dedicated to those who materialize the magic of the guitar music: the Luthiers. 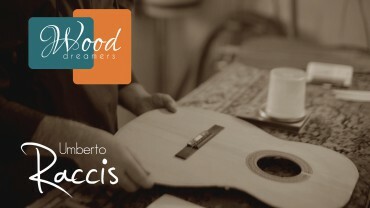 Wood dreamers is a reportage about guitar makers in which we show not only their work, their artistic proposals, their technical developments, of course their instruments, but also the places where they live and a little bit of their personality. We check out the sound features and properties of their instruments with the purpose of making them known worldwide.